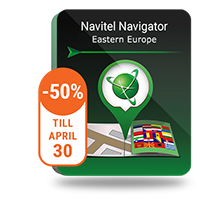 NAVITEL® is a large IT company and a key player in the field of car navigation systems in the EMEA countries. The company develops navigation software which offers fast operation, adjustability and a vast range of functions, and digital navigation maps which are notable for better detalization. The mission of NAVITEL® is to make the every-day life of our customers and partners better and more convenient through providing them with the navigation system of the highest quality. We are glad to invite new members to our team, and we expect them to be able to demonstrate high level of proficiency and expertise. If you are inspired by geographic information technologies and if you are ready to develop continuously your professional skills send your resume to hr@navitel.cz.